The panel explores the current political drive to invest in astronomy and space science initiatives in Africa, and the transformations they herald. 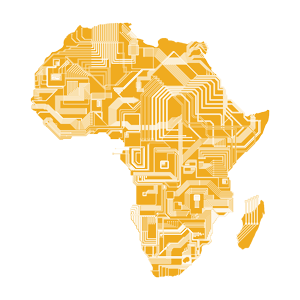 Contributions should address how knowledge systems in space science shape representations of Africa's future, and its position in the knowledge economy. This panel explores the political drive towards regional and global investments in astronomy and space science programmes in Africa, and the transformations they herald. Recent years have seen an acceleration of space science initiatives across the continent. The African Union adopted a Space Policy in 2016 and within the last 5 years, Ghana, Ethiopia, and Kenya have established official space programmes. These add to existing initiatives in South Africa and Nigeria, inscribing them in both continental and international networks. Their development hold the potential to refashion North-South relationships and patterns of continental power within Africa, embedding space science in global concerns over the security, protection and the monitoring of people as well as the environment. In 2012, South Africa was chosen to host the Square Kilometre Array (SKA) - the world's largest radio telescope - and in 2017, Ghana became the second African country to develop radio astronomy infrastructure. Space science and astronomy initiatives in Africa are framed within narratives around local, national, and continental development. Narratives of progress, political modernity, and national priorities herald transformations in the knowledge economies of related developments, reflecting new connections and disruptions. In this panel we seek contributions that address the role of astronomy and space science initiatives, and the knowledge systems they underpin, in shaping representations of the continent's future, and its position within the global knowledge economy. Research engaging with country-specific case studies, regional or continental perspectives, as well as emphasising the role of trans-continental collaborations are all encouraged.